Arovax TraySafe password manager allows you to forget passwords! There are a lot of password keeping solutions nowadays, however none of them can be compared to TraySafe password manager in terms of safety and convenience. Arovax TraySafe password manager is a proud holder of the world's most secure password keeper title because of its unique hardware ID feature. Basically, it means that the program works only on a single PC (yours). Should someone try to access your PC or to make a copy of your hard-drive, they won't be able to launch or hack the program. 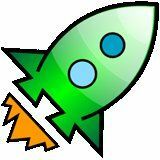 In addition, Arovax TraySafe offers a wide choice of world's most secure encryption and hash algorithms, like 3DES, Blowfish, SHA, MD5. Arovax TraySafe password manager is just as convenient as it is secure. 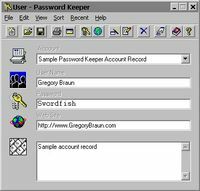 It works with all types of passwords: web (including custom templates for web-based mail, like Yahoo or Gmail), Windows OS, and passwords for third-party applications (tools and utilities that require passwords). 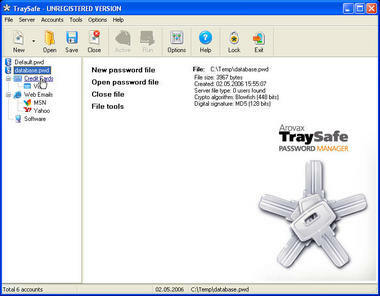 Moreover, TraySafe password manager does not just store passwords. It's not a simple password database. It can automatically insert all passwords for you in the password fields, whether it's a website or a program window. All you have to do is to enter your Master Password once at computer start. Thus, you don't have to remember all of your passwords, except the Master Password. So, there is no need to keep all your passwords in mind! Naturally, Arovax TraySafe password manager comes with a variety of enhancements, like strong password generator, network mode (client/server passwords, network password sharing). Plus, it can run directly from a removable USB drive, so you can keep and carry it with you. If you are looking for a password keeping solution and are willing to try only the best applications available, Arovax TraySafe password manager is a perfect choice for you. Download password manager is 100% FREE. You can forget passwords and you will not lose them!